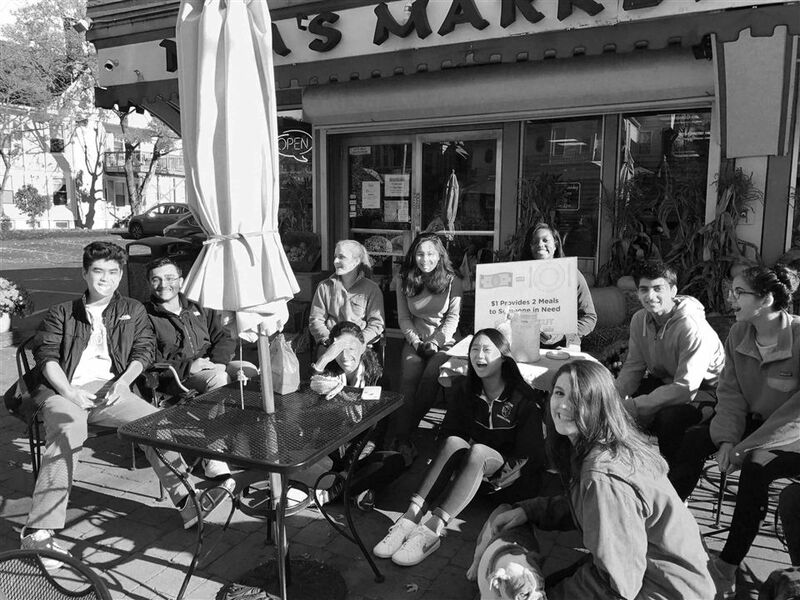 Juniors fundraise outside Nica's Market (photo: Donasia Gray). When Hopkins first began helping the Connecticut Food Bank decades ago, fundraising as we know it today did not exist. Until the twenty-first century, the goal of the annual Food Drive was to gather non-perishables from families and friends of the Hopkins community. The first version of the fundraising that we recognize nowadays began in the late 1990s in the form of “Supermarket Days.” Dozens of students gathered off-campus, wore the Goat costume, and asked for canned food donations to the Connecticut Food Bank. In a less-popular approach, students also collected donations to “purchase” food from the Connecticut Food Bank: one dollar was worth five cans. Starting around 2000, the Connecticut Food Bank began a gradual transition to fresh produce instead of non-perishables, and the Food Bank recommended that organizations collect funds instead of non-perishable foodstuffs. On account of this, “Supermarket Day” donations transitioned from cans to monetary donations. In addition to fundraising, Hopkins developed in-school traditions for the Food Drive, such as raffles and pizza sales. Class presidents also held Two-dollar Tuesdays, where students each brought two dollars, proving that even a small contribution has a big effect. For nearly all of the years of the Connecticut Food Drive, grades competed against each other to raise the most funds. However, it wasn’t until 2014 that the grades counted effort instead of results when the Student Council asked each grade to tally hours spent fundraising instead of dollars raised. Currently, the Canned Food Drive is a highly-organized event. Hopkins collects an increasing sum of money for the Connecticut Food Bank every year. In 1998, the freshman class shattered a previous record by collecting $1,922. In contrast, the winning grade of 2015 set a record by raising $36,253.